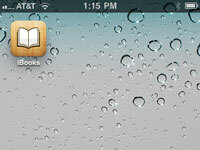 1Make sure you have the iBooks app installed on your iPhone. If you don’t have it, you can get it for free from the App Store. 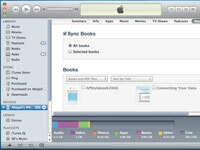 2Open iTunes on your computer. 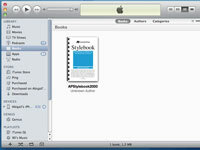 Consider iTunes your computer-to-iPhone translator. 3In the iTunes library, click Books. 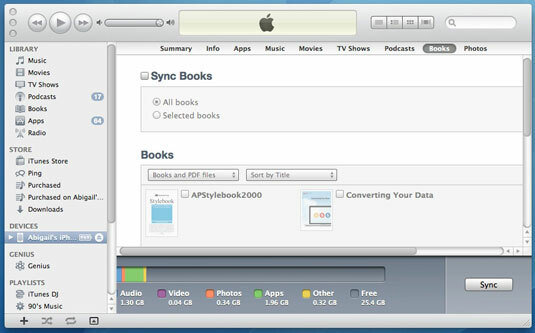 If you can’t find this listed in the Library (the first option in the menu bar on the left), you should edit your Preferences in the main iTunes menu to make sure Books are selected. 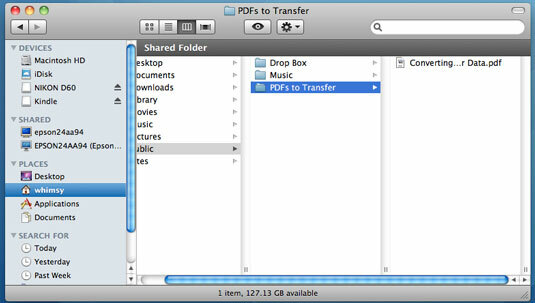 4Make sure you can see your PDF via a file browser (such as Finder on Mac or Explorer on Windows) or as an icon on the desktop. 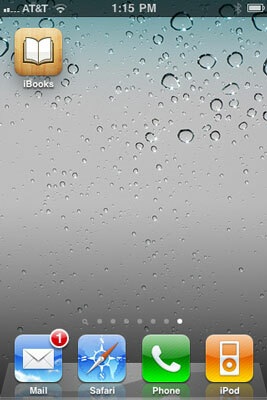 You need to be able to see both iTunes and the PDF you want to move to your iPhone at the same time. 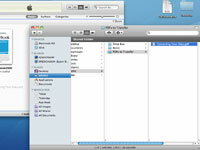 5Drag and drop the PDF into your iTunes Book library. The PDF files will now appear in both places. 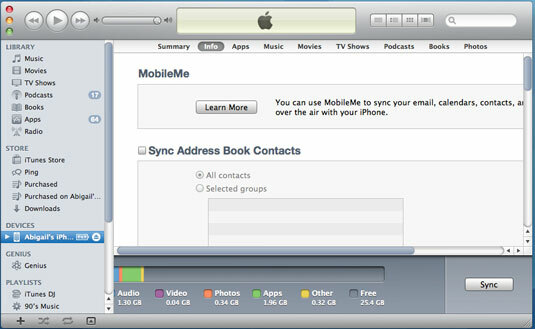 6Plug your iPhone into your computer and then select it in the Devices menu on iTunes. If your iPhone is already plugged in, you just need to select it. 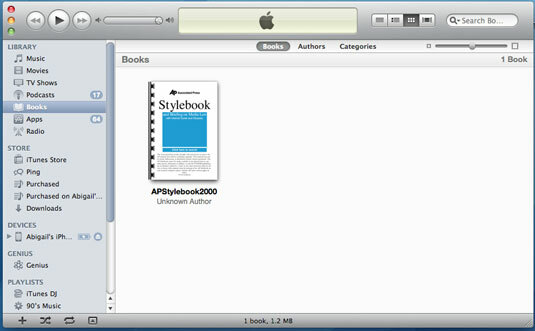 7Click on the Books tab in the resulting phone screen within iTunes. You’ll find “Books” in the bar across the top of the main frame. 8Check the Sync Books checkbox, if it isn't already enabled. 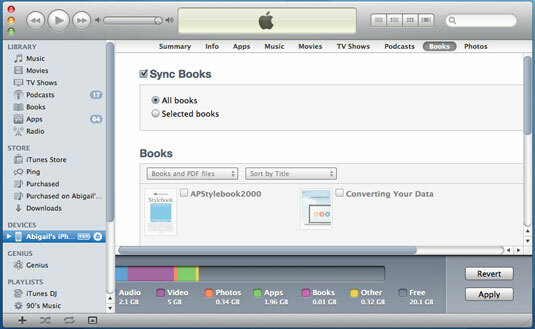 You can choose either to sync all books (meaning all seen in your iTunes Book Library will be uploaded to your iPhone) or to sync selected books (meaning only the books that you check off will be uploaded to your iPhone). 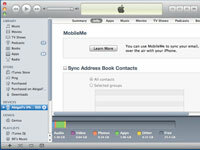 The phone will automatically sync with iTunes.